Jonathan Bagger was elected Director of TRIUMF, Canada’s national laboratory for particle and nuclear physics, effective July 1, 2014. Prior to TRIUMF, he served as Krieger-Eisenhower Professor at the Johns Hopkins University, Chair of the Department of Physics and Astronomy, and Vice Provost for Graduate and Postdoctoral Programs. From 2012 to 2013, he served as the university’s Interim Provost and Senior Vice President for Academic Affairs. Bagger has twice been a member of the Institute for Advanced Study. He served as chair of the International Linear Collider Steering Committee, as vice chair of the Department of Energy/National Science Foundation High Energy Physics Advisory Panel, and as a member of the National Research Council’s Board on Physics and Astronomy. He has served on the Fermilab Board of Overseers, the SLAC Scientific Policy Committee, the Space Telescope Institute Council, and the Board of Directors of the National Space Biomedical Research Institute. 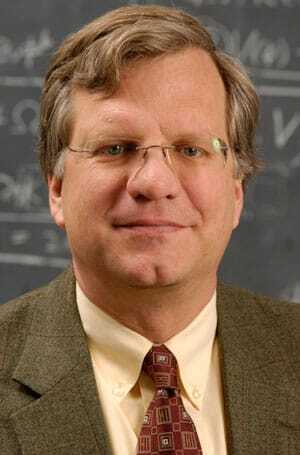 He is a fellow of the American Physical Society and the American Association for the Advancement of Science. Bagger graduated from Dartmouth College in 1977. After a year at the Cambridge University as a Churchill Scholar, he continued his graduate studies at Princeton University. He received his Ph.D. in 1983 and took a postdoctoral research position at the Stanford Linear Accelerator Center. From 1986 to 1989, he was Associate Professor at Harvard University. Bagger’s research centers on high-energy physics at the interface of theory and experiment. Together with Julius Wess, he is the author of the monograph Supersymmetry and Supergravity.